What does this mean and who does it include? This is a question that often has to be answered on a case by case basis. Basically, California does not want unlicensed contractors to be able to get paid for work that should be performed by a licensed contractor. The law has set forth some general parameters. General contractors, subcontractors, and master developers must be licensed. However, suppliers, manufacturers, laborers and equipment lessors are exempt and do not need a contractor’s license. Essentially, those parties that merely furnish material or supplies without fabricating them into, or consuming them in the performance of work, do not need to be licensed. Bus & Prof Code Section 7052. There are sever fines and penalties for those who improperly perform construction work without a license. A contract between any contractor and an unlicensed subcontractor is a misdemeanor. Lack of a license bars all actions in law or in equity for collection of compensation for the performance of work requiring a license. There are very few exceptions to this rule. A “savvy” unlicensed contractor cannot simply avoid these requirements by “subbing” out all the work to licensed contractors. Any person who uses the services of an unlicensed contractor may file a court action or cross-complaint to recover all payments made to the unlicensed contractor. In addition, a person who uses the services of an unlicensed contractor is a victim of a crime and eligible for restitution of economic losses regardless of whether that person had knowledge that the contractor was unlicensed. Bus. & Prof Code Sections 7028, 7028.16. It goes without saying that performing work without a license on projects is a bad idea. Moreover, the defense of substantial compliance is not available to those who have never been licensed. In order to meet the substantial compliance threshold, a contractor must prove he/she was: 1) Licensed in California before performing the work; 2)Acted reasonably and in good faith to maintain proper licensure; 3) Did not know or reasonably should not have known that he or she was not licensed, and 4) Acted promptly and in good faith to reinstate his or her license on learning that it was invalid. 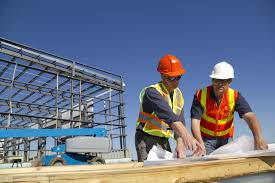 If you have questions about license requirements of contractors in California please contact one of our experienced construction attorneys today.